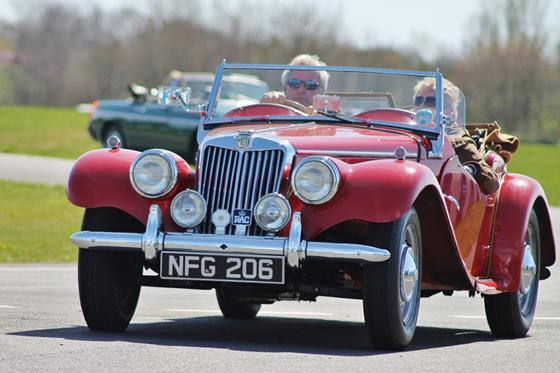 The 50th birthday of the MGC – the six-cylinder sports car which was intended to replace the iconic Austin Healey 3000 but ended up the victim of internal company politics and bad press – will be a special focus of Brooklands Museum’s annual MG Era day on Sunday 2nd April. And another anniversary – the 70th of the post-war Y-Type – will also be marked on this day when all models of the iconic MG marque from 1924 to the present day will be celebrated. The new MGC was introduced in 1967, but a slating of its performance and handling in the press proved to be an early nail in its coffin. Not only that, but the newly-formed British Leyland group of which MG was a member also released the Triumph TR6, a car that benefitted from some superior Karmann styling. Two cars competing for the same slice of the market led to the withdrawal of the MGC just two years later. The MG Y-Type family, which was produced from 1947 to 1953, was comprised of three models: the four door MG Y saloon, made from 1947–1951 (later called the MG YA), the MG YT tourer introduced in 1948 and the MG YB saloon. 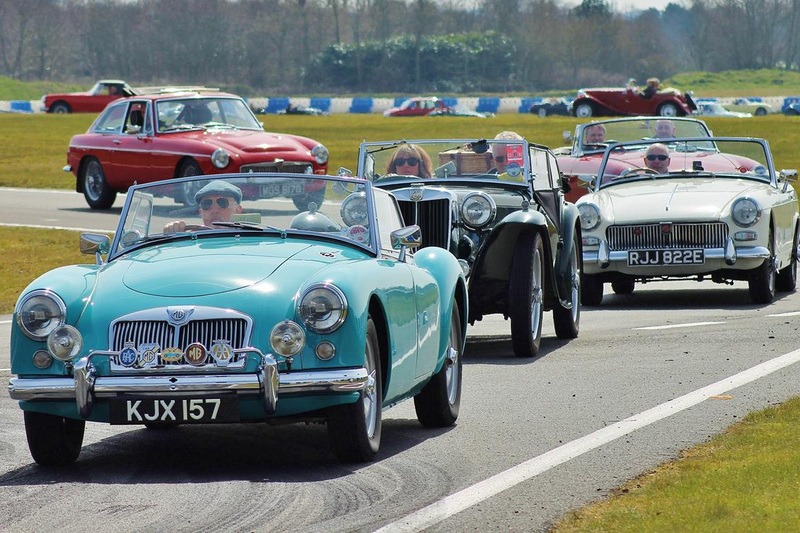 At 1.15pm there will be a cavalcade of a wide variety of MG models on the circuit at Mercedes-Benz World and, back on the Museum site, the famous Test Hill will be open for those brave enough to ascend it at 2.30pm. “Pride and Joy” Awards will be presented at 3.30pm. 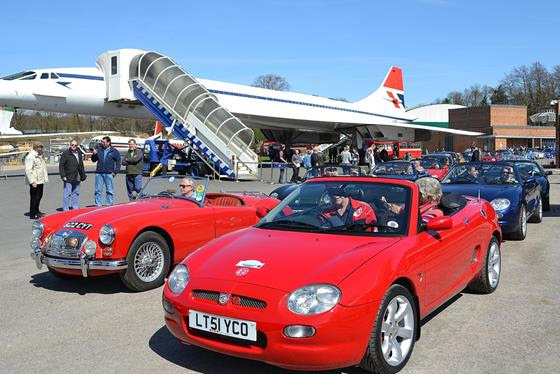 Visitors to this extravaganza will also be able to see the Museum’s incredible collection of classic cars, motorcycles and aircraft, including the only Concorde open to the public in the region. The 4D Theatre will be running a choice of three exhilarating Experiences, taking visitors back in time to race on the Brooklands Circuit, at Le Mans in 1956 or flying as part of the Red Arrows Air Display Team. Both the 4D Theatre and the Concorde Experience require separate booking, so to avoid disappointment, they should be booked on arrival. The Sunbeam Café will be open all day for refreshments and the Museum Shop is stocked with books, DVDs, models and lots of Brooklands and MG-related memorabilia. Gates open to the public at 10am and entrance fees are as follows: Adults £11; Seniors £10; Children (5-16 years) £6.00; Children Under 5 FREE; Family ticket (2 adults and up to 3 children), £30. For full details visit www.brooklandsmuseum.com or telephone 01932 857381. The half-hour Concorde Experience is an extra £5 each for adults, £3 each for children while the 8 minute 4D Theatre rides are £4 each for adults and £2 for children. Height and other restrictions apply.